← A crime he didn’t commit. A vendetta to even the score. A love to reclaim . . .
She’s a warrior genie who is forced to play housewife in order to save her people . . .
TUESDAY’S REVOLVING BOOK is TIES THAT BIND (Book 3 in the 101 Nights Series), fantasy romance by KellyAnn Zuzulo. For the good of her homeland Amani has accepted her marriage and is settling into life among humans, but she is about to be tested…by Jason’s people and her own. Amani’s relationship with Jason is steadily improving, and things have never been hotter behind closed doors. Amani’s found friends. She’s feeling a little more at ease among humans. For that reason, she is reconsidering her backup plan that could destroy their world. But just as everything seems perfect, a hurtful secret is revealed and Jason is threatened. And then the real problem shows up. 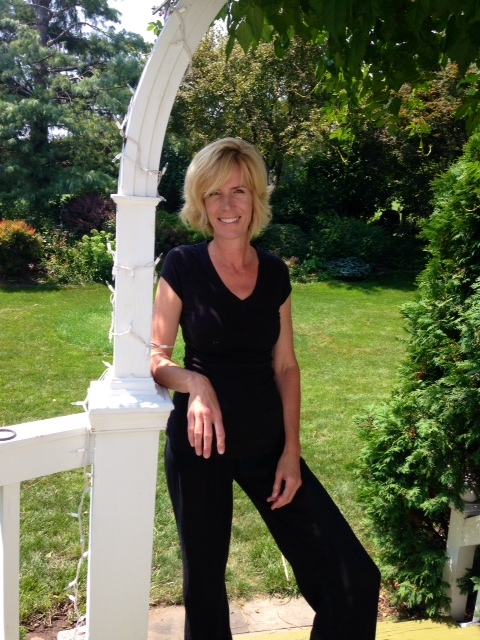 Kellyann Zuzulo is an editor and author. 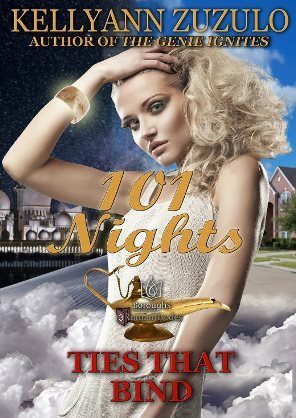 Her novel, The Genie Ignites, was a finalist in the 2013 Abalone Awards, which recognizes “Outstanding Ethno-Cultural Romance.” Her latest release is Ever Afters, the fifth book in her 101 Nights series from Boroughs Publishing Group. As a freelance editor and writer, Kellyann edits both fiction and non-fiction books and builds and rehabs content for clients with blogs, brochures, websites, and more. Kellyann is a member of International Thriller Writers, Backspace Writers Group, and Romance Writers of America. She lives on the East Coast with her husband, three children, and two terriers.